We said goodbye to our beloved Elena on July 2, 2018. She was 17 years, two weeks, and 6 days old. 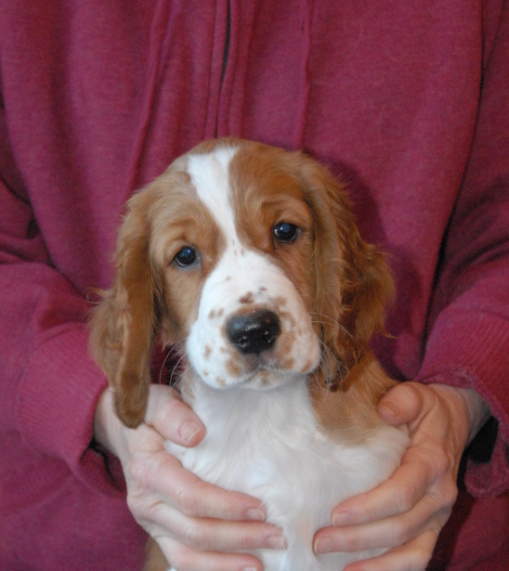 She was everything we hoped our first Welsh Springer would be: lively, smart, silly, and affectionate. The house isn't the same without her. Rest in Peace, dear one. "In the Company of Dogs." 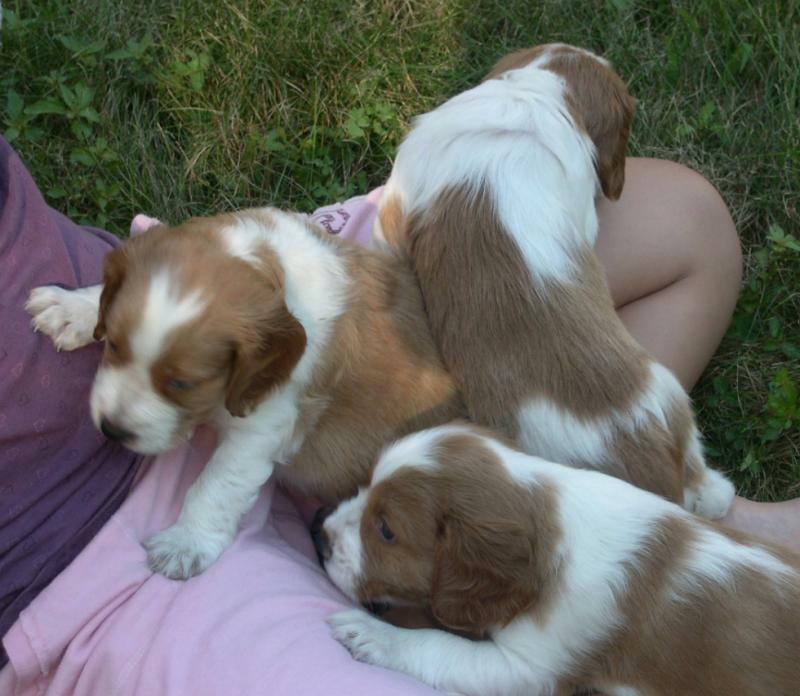 Welcome to Destiny Welsh Springer Spaniels, located in the Pioneer Valley in western Massachusetts. 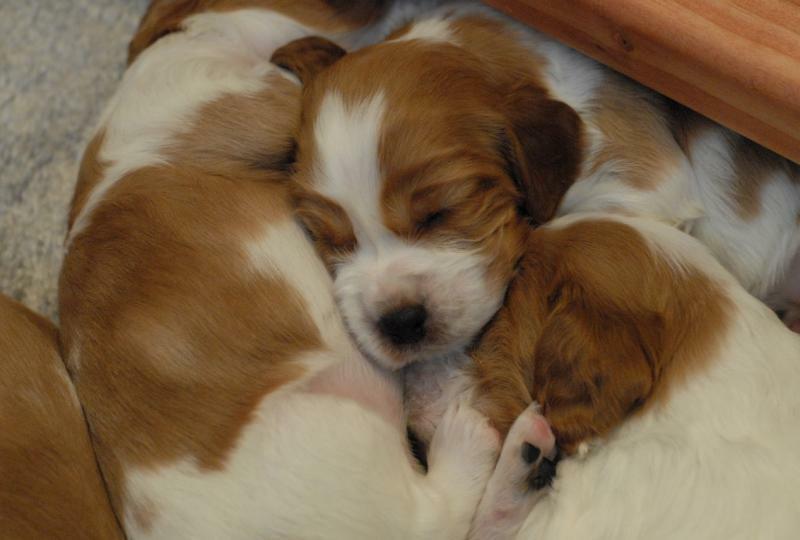 We are a family of five humans, two cats, and two Welsh Springers, and we are life-long dog owners and dog lovers. 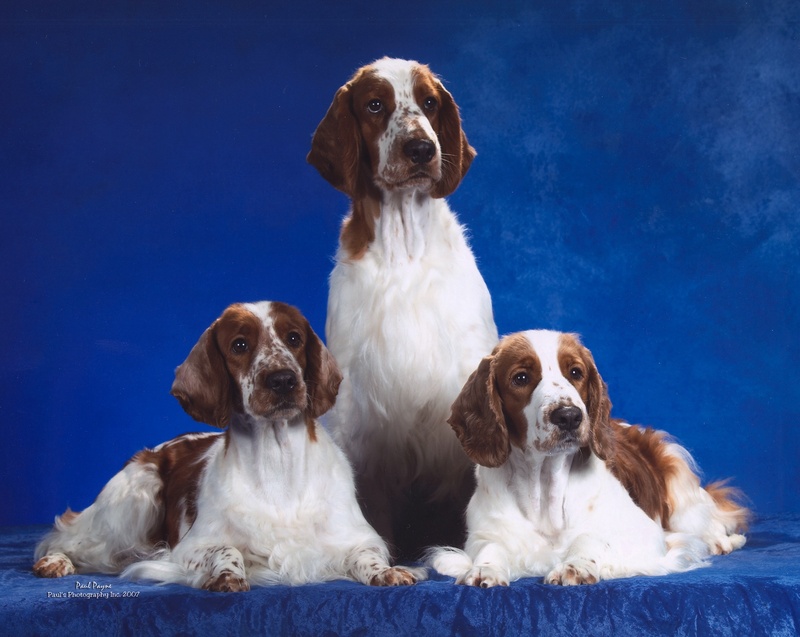 I met my first Welshie in 2000 and at last had the chance to pursue my dream of showing and breeding purebred dogs. 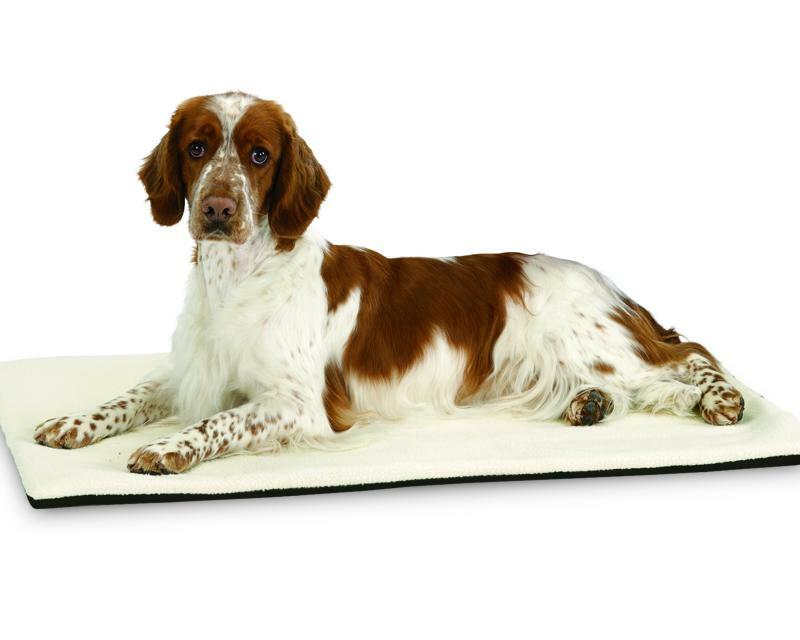 We perform OFA health testing on all of our dogs, with their hips and elbows x-rayed and eyes and thyroid checked at the appropriate age. All of our dogs have been AKC champions and three earned their Canine Good Citizen Certificates; two have earned rally obedience titles. What's most important, however, is that they're beloved members of our family. I can't imagine life without them. 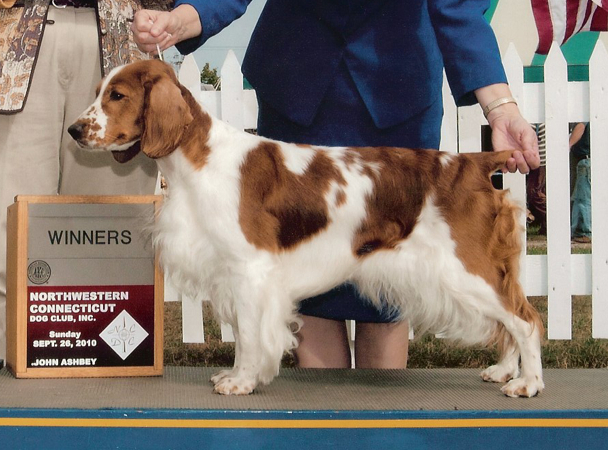 It's easy to fall in love at first sight with this breed: with their vivid red and white coloring, soft feathering, and soulful spaniel eyes, if you ask me there's not a prettier dog on the planet. Welshies are smart, playful, clever, funny, and sensitive to your moods. They're devoted to their family members and want to be with you always, following you from room to room and staring at the door when you leave without them. They need to live inside where they can be close to the center of activity in the house. They do best if they can be part of most family activities and join you on outings. For all of their appeal, though, this breed is not the right dog for everyone. 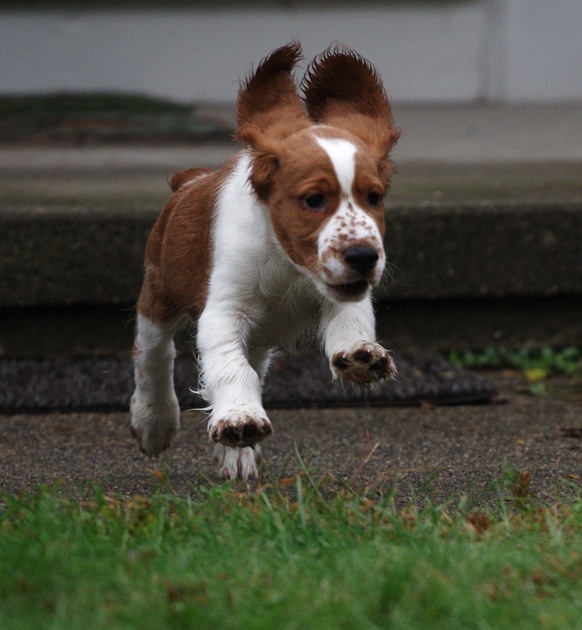 Welsh Springers can be independent, even slightly stubborn. Although they love to please you, it's not always the first thing on their minds. 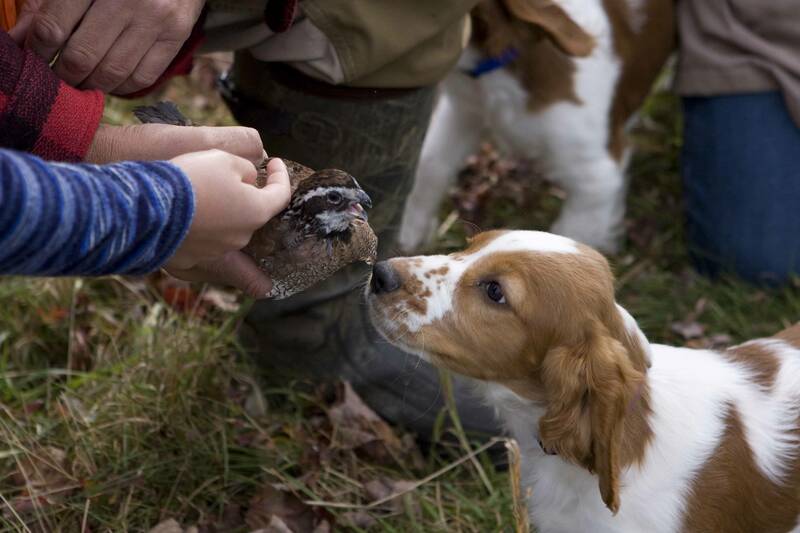 Welshies are energetic sporting dogs and require daily exercise. Without enough vigorous activity, they can become destructive or anxious. The breed is intelligent but highly sensitive, and they don't respond well to harsh training methods. Because they are bred to work out in front of the hunter, they like to follow their noses and think for themselves. The breed is typically reserved with strangers. They love children if brought up with them, as long as they are treated gently. 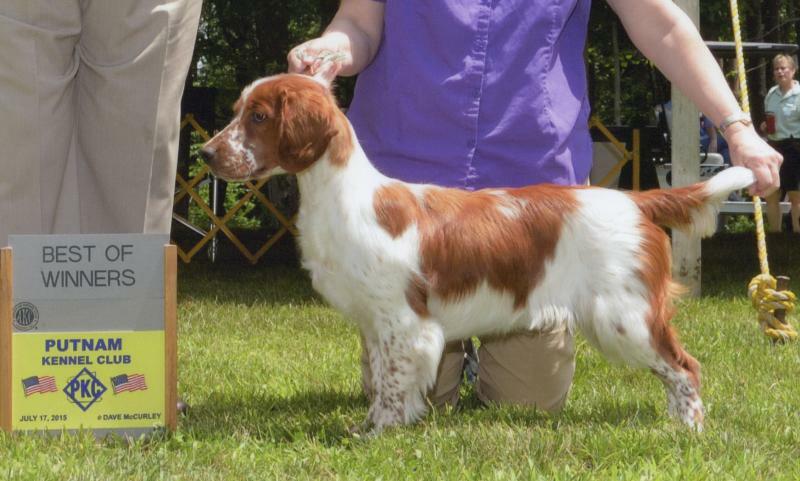 With exercise, socialization, training, consistent handling, and lots of attention, the Welsh Springer is a wonderful family member and companion. They are the funniest dogs I've ever owned.